By David Ponce on 03/16/16 • Leave a comment! 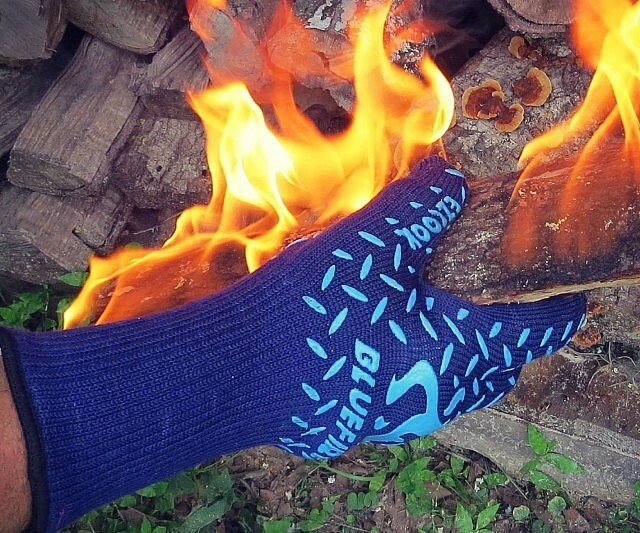 It’s not everyday that you have to handle burning logs of wood with your hands, but if you’re wearing the BlueFire Pro Extreme Protection Cooking & Grilling Gloves, you could do just that. They’re made from Kevlar/Aramid/Nomex/Silicone and can withstand up to 932°F. For reference, that’s about 850°F more than I’m comfortable handling bare handed. They’re even made from CE-Level 3 Cut Resistant Fiber so that you can be protected from self-inflicted cuts. At $35 for the pair, we’re looking for a single good reason not to get them. By David Ponce on 03/06/16 • Leave a comment! Much as we’d like to get excited about the fact that spring is around the corner, it’s still pretty darn frosty in many parts of North America (well, the Northern hemisphere altogether, we suppose). 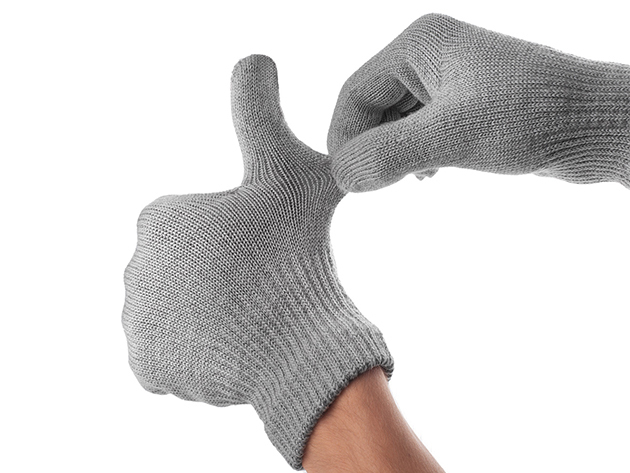 While heavy gloves or mittens might not be necessary, lighter gloves like the Mujjo Touchscreen Gloves could keep your fingers from getting too col, while allowing you to play with your smartphone unencumbered. 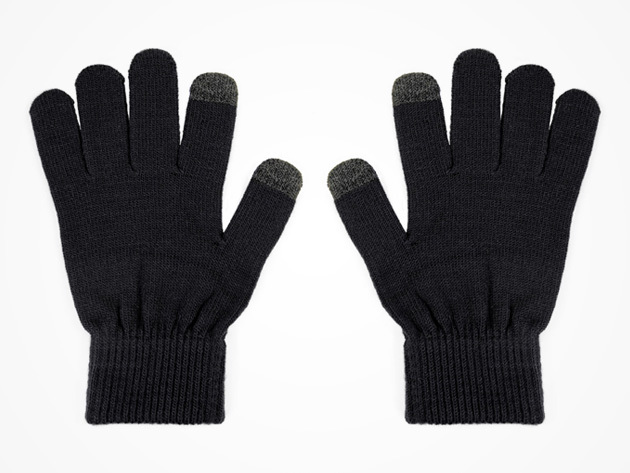 Touchscreen gloves sold around the Web may talk the talk, but Mujjo’s gloves walk the walk. 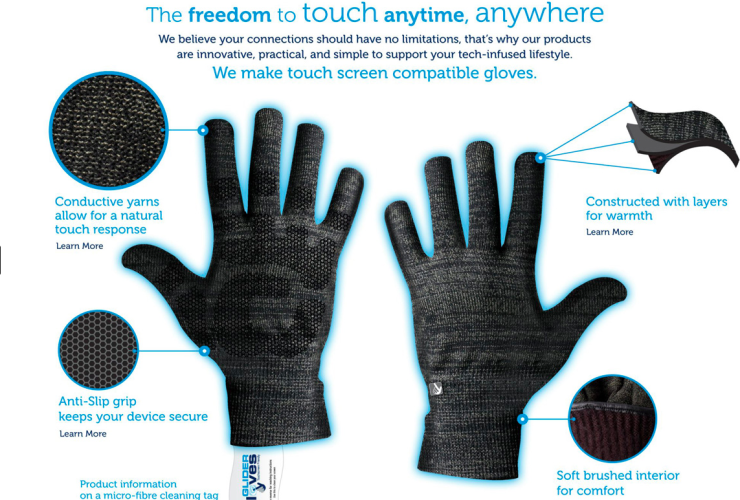 These gloves practice what they preach: optimized touchscreen usability and complete insulation. 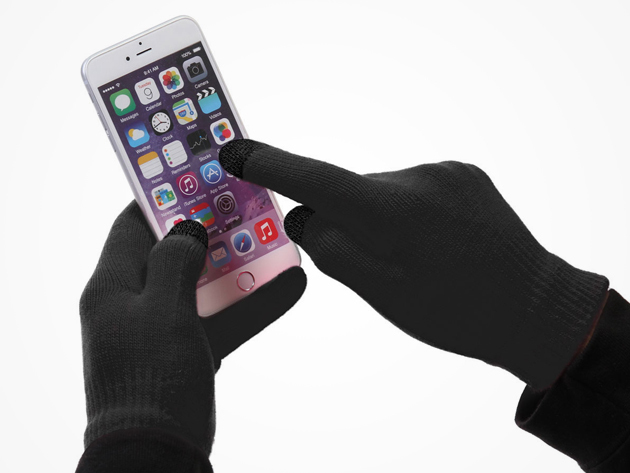 Save your fingers from looming frostbite, and enjoy your smartphone to its fullest. Normally $27, with today’s special it’s $21.99. By David Ponce on 12/29/15 • Leave a comment! Snow finally hit the Eastern Seaboard. Pretty hard, too. But of course, it’s not a little snow that’s going to stop you from texting. Come on, you got… important business to conduct. 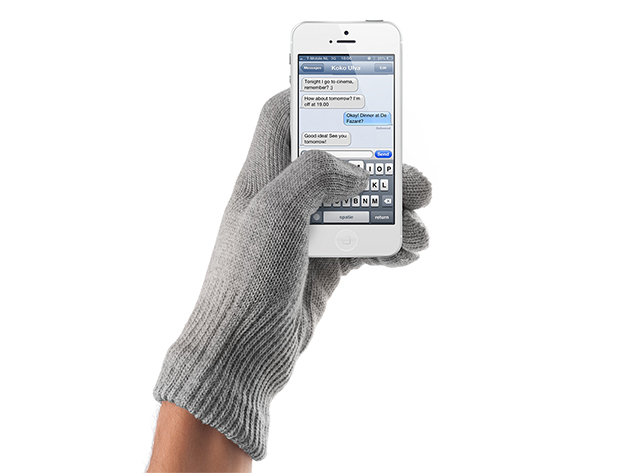 With the Super Soft Texting Gloves, you can add just a bit of comfort to your crucial task. Normally only $10, they’re $6.75 with today’s deal. By David Ponce on 10/21/15 • Leave a comment! That headline pretty much sums up the product. 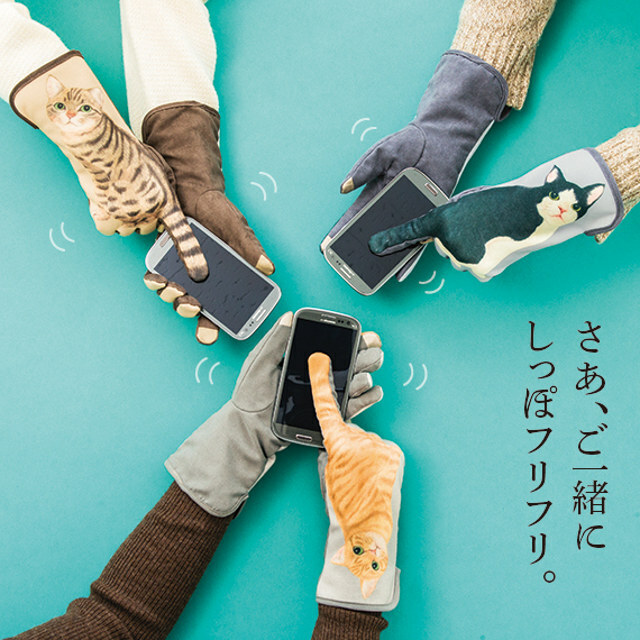 It’s just a quirky little glove with a cat printed on the back, and if you wiggle your finger across your smartphone’s screen, it looks like a wagging cat tail or something. They’re obviously Japanese, where we imagine this sort of thing wouldn’t have people shaking their heads in bewilderment as we think they’ll do here. They seem to cost around 3,980 Yen, which is around $33. By David Ponce on 02/26/15 • Leave a comment! 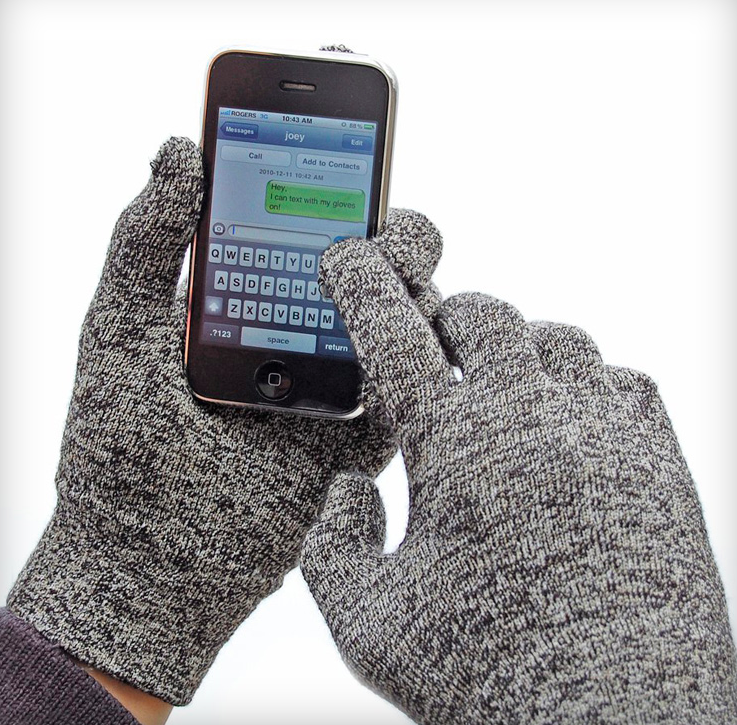 In the frigid claws of winter, the last thing you want to be doing is freezing your fingers off while answering a text. And while you’ve seen gloves with touch-sensitive tips, the Touchpoint 2.0 takes the concept a step further by incorporating four NFC chips. 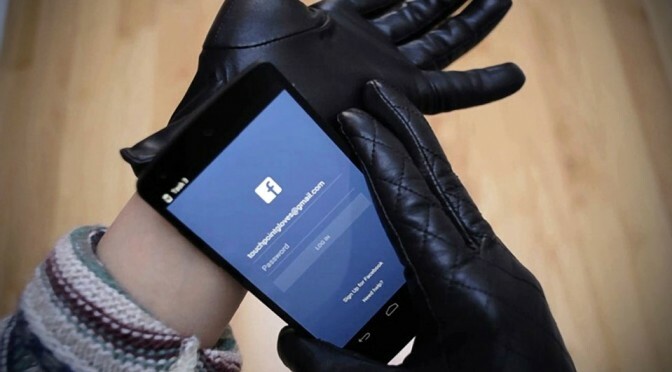 Made from soft sheepskin leather, and finished with a stylish quilt pattern, the gloves not only let you control anything on the screen as if your skin is bare, but each of the four NFC chips (located on the middle finger and wrist, in each hand) is completely customizable through a companion app. This means you can trigger any number of actions on your phone, from launching apps, to taking pics, to pretty much anything you can think of since the program is open source. Unfortunately, due to Apple restricting their NFC to Apple Pay, you’ll only get full functionality on devices in this list. Now, think of this scenario. You’re out in the cold and suddenly see something worthy of a pic. Normally you reach for your phone, take your gloves off, start the picture app and snap your shot. With Touchpoint 2.0, you only need to reach into your pocket, touch the NFC area to one of your fingers (which you’ve programmed to trigger the launch of the camera app), and snap away. That’s quite a few steps less, and a lot less freezing. 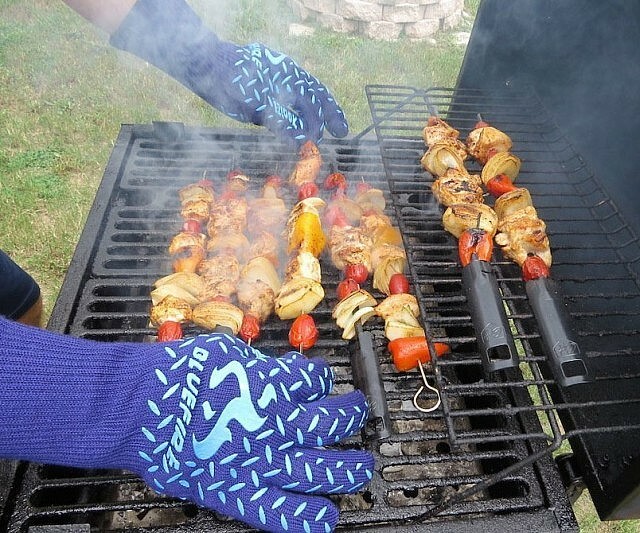 The gloves are available for a $60CAD ($52USD) pledge, with delivery slated for September 2015. By Hazel Chua on 10/31/14 • Leave a comment! 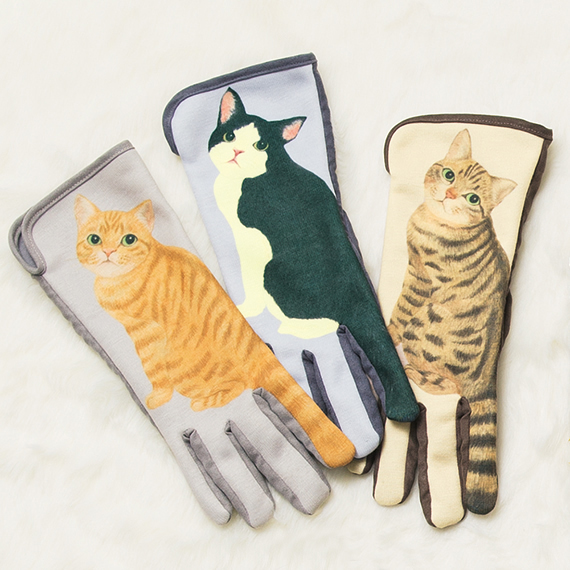 These look like your average pair of gloves, but they weren’t made to keep your hands warm and toasty. Instead, a pair of these might soon replace your regular old towels. They’re made from a unique micro-weave fabric that’s super absorbent, so all you have to do is slip them on and run your gloved hands through your hair to dry ’em. 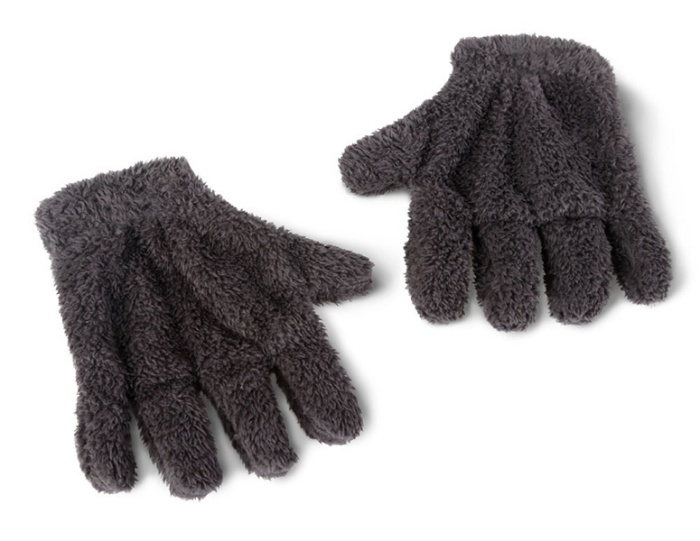 The gloves will dry your hair twice as fast versus a towel, and gives you tousled hair for a fun ‘do. They’re available online for $19.95. By David Ponce on 10/27/14 • Leave a comment! With the success of the Oculus Rift, we’re currently seeing a renaissance of interest in virtual reality (yes, for you young’uns out there, were was a VR craze back in the mid-90’s). Not only are companies like Sony launching themselves into the fray, a ecosystem of VR-related peripherals is apparently being built. The Dexmo Exoskeleton by Dexta Technologies, pictured above, is a perfect example. 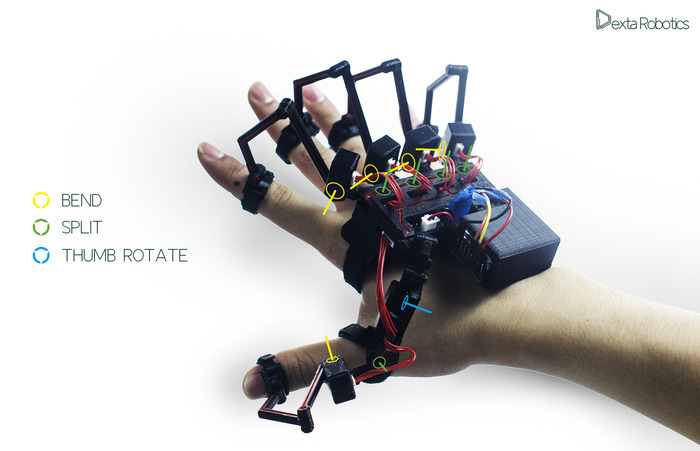 It’s an input-output device that attaches to your fingers and wrists and not only tracks their position, but is able to stop their movement when the virtual object you’re trying to grasp is actually gripped, letting you actually feel it. 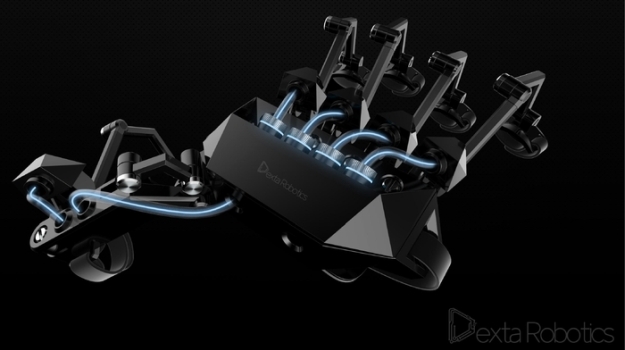 It’s a force-feedback VR controller, basically, and yes, it’s probably not the first such device hitting the scene. It is, however, the first seemingly affordable one, with a basic input-only version going for a $65 pledge. The more complete version does cost a more hefty $159, but that’s still somewhat reasonable for what it is. There is a catch, however, and that’s the fact that only the index finger and thumb receive force feedback, allowing you to pinch, rather than properly hold objects. Perhaps 5-digit feedback will be included in the next generation of the device, but for the early adopters out there, Dexmo seems like a great way to expand your VR explorations. By David Ponce on 03/26/14 • Leave a comment! 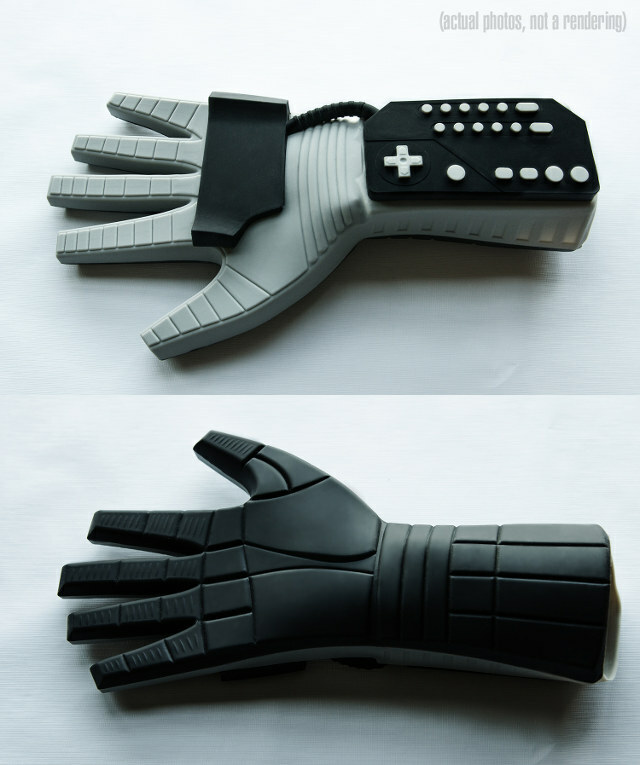 Remember the Power Glove from Nintendo? No? Then you’ll have no use for this. For anyone else with a bit of nostalgia, the above Indiegogo project should help you bake cakes while reliving potentially embarrassing moments of your childhood. A $39 pledge will put you in line for one, but considering how far from their goal they are right now, this might all be a pipe dream in the end. Pipe dream… get it? Because Mario? Nintendo?… No?